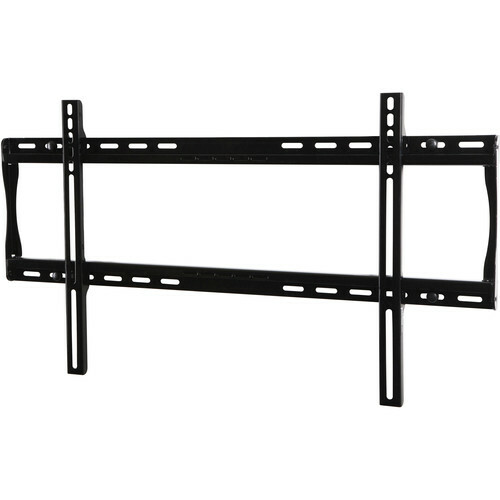 Easily install large screens with this Peerless PF650 Universal Flat Wall Mount for 32 to 50" Screens, cables and cords are easily managed behind the screen with access ports in the wall plate. For that finishing touch after installation, center the screen by smoothly sliding it along the wall plates horizontal rails. Box Dimensions (LxWxH) 31.0 x 9.0 x 4.0"
PF650 Universal Flat Wall Mount for 32 to 50" Screens is rated 5.0 out of 5 by 2. Rated 5 out of 5 by ChrisTInt from Peerless Easy Install - Great Price I bought this Peerless mount for a 46 Flat screen, it worked Great! This is the 3rd TV I have mounted with Peerless. Easy Instructions, Sturdy Mount and Solid TV connection, Strong and Secure it does not wiggle or move. Mounting kit comes with many options for anything I threw at it, different brands of TV, thicknesses, sizes, etc. The price has dropped to about half of the other peerless mounts I bought in 2009. I mounted the TV for my kids to watch TV & Play Wii Games, they love it. Rated 5 out of 5 by Mario from I would buy and recommend this item. Easy set up and installation for my 48 inches Tv,Many options for places to install it like you can set it up on concrete wall or wooden wall.